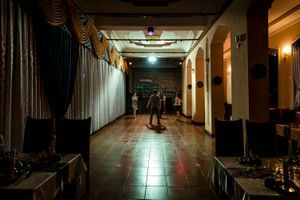 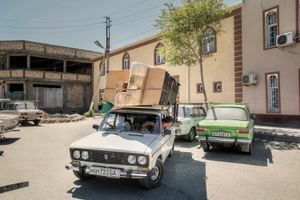 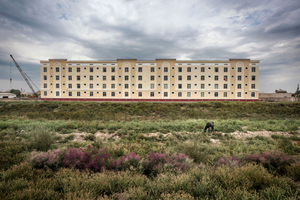 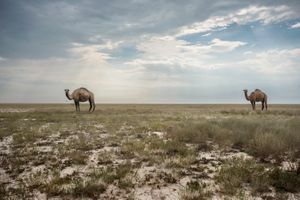 For centuries, the Silk Road connected the West with the East: a network of walkways, paths, trails That overlap each other and reach cities Whose names still evoke the glories, mysteries, adventure. 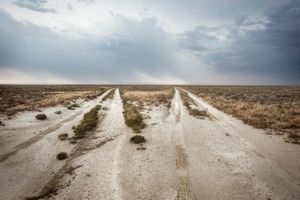 But the Silk Road was Also at the center of one deadly project: "The great plan for the transformation of nature", of Stalin. 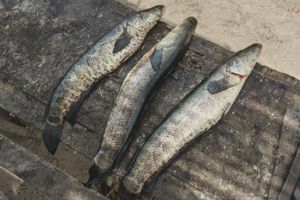 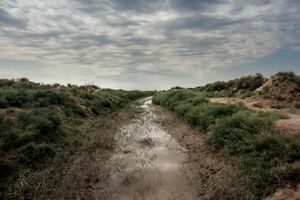 The unconditional exploitation of environmental resources and human prevarication on nature guided only by economic interests, have always determined serious repercussions on the environment. 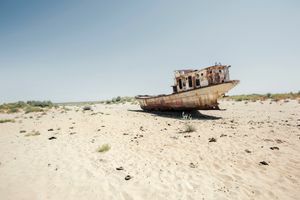 The Aral Sea was once one of the largest lakes in the world. 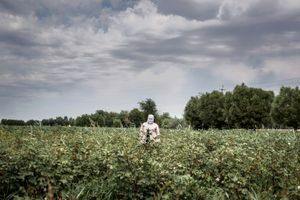 Since the surrounding areas were mostly desert, the Soviet government started to transform the environment by diverting the course of the rivers who fed the Aral, in order to grow cotton. 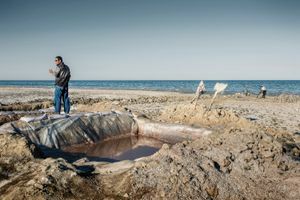 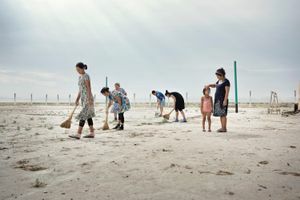 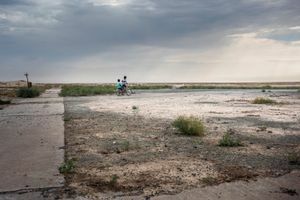 Today, the Aral Sea, once the fourth largest lake in the world, has been replaced by a flat of salt and the progressive desertification has led to a growing environmental crisis, which has devastated economy, health and the fabric of communities of an entire society for future generations. 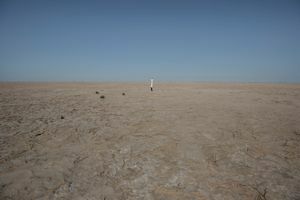 The locals have renamed it the Aralkum: the Aral desert. 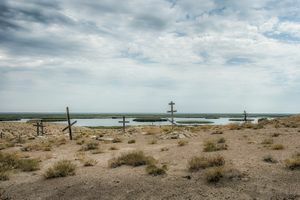 "The worst ecological disaster in the history of mankind", is how Al Gore, in his book "Earth in the Balance", defines the story of the Aral Sea, sentenced to death by the infamous Soviet economic policy. 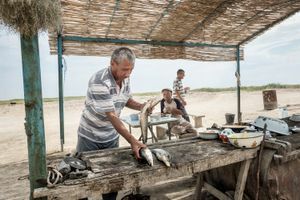 Recently, the UN Secretary General Ban Ki-moon, visiting the area, described the phenomenon as "One of the most shocking disasters on the planet." 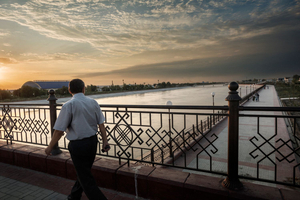 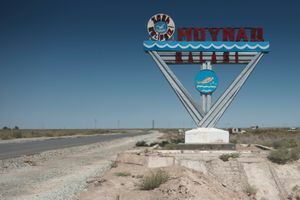 The autonomous region of Karakalpakstan, one of the poorest areas of ex-Soviet Union, was thus witness of largest ecological disaster caused by man, in the 20th century. 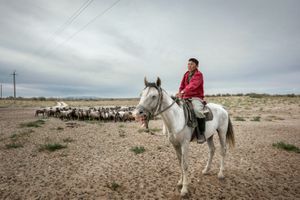 The karakalpaki are therefore experiencing a slow erosion of their identity, ie the essential condition for their survival as a community. 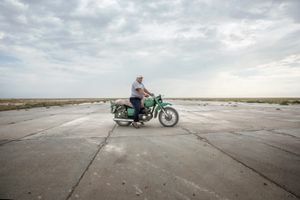 "At first you drink water, at the end poison": an Uzbek saying sums up the environmental collapse and the human tragedy of the Aral Sea. 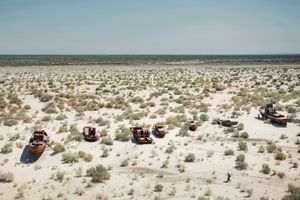 The Aral Sea has become the place of absence.